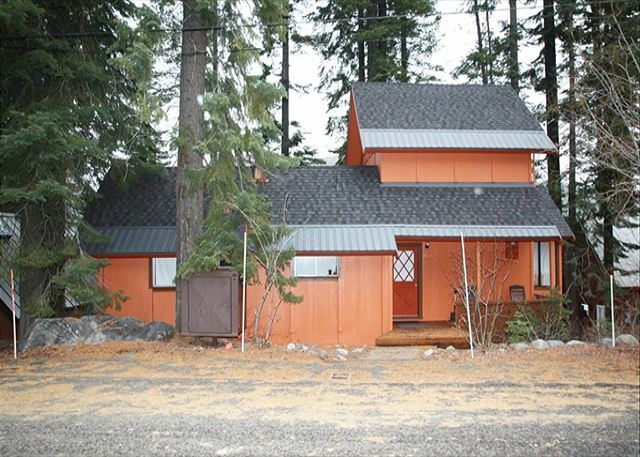 Truckee, CA United States - Minor 071 (FRI) | Donner Lake Realty, Inc. 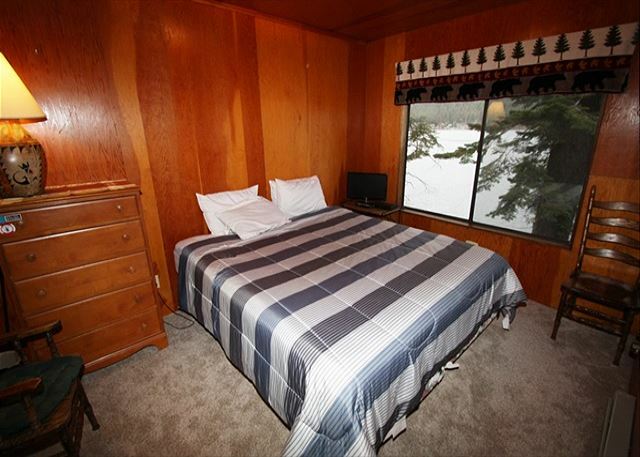 The Minor unit has 3 bedrooms, 2 baths, and sleeps 6 (7 max). This unit has parking for 2 cars ONLY; 4 wheel drive required in the winter months to access unit. 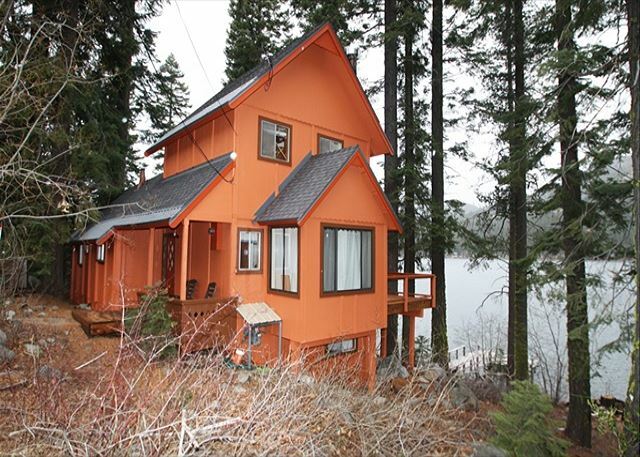 This lakefront cabin is located on the south side of Donner Lake. The Minor cabin is 3 stories and has bedrooms on each level. You enter the cabin through the living room which is connected to the dining area and kitchen. 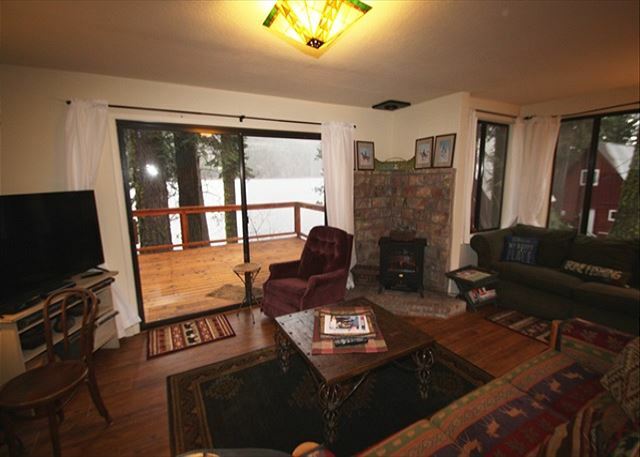 In the living room and dining area are sliding glass doors that lead out to the back deck over looking the lake. There are stairs that lead you to the top floor or another set of stairs down to the bottom level. The top floor has a bedroom with a king size bed and bath. On the main level, connected to the kitchen, is a bedroom with a queen bed and bath. On the lowest level is another bedroom with 2 singles in it. This house rents with a floating 7 night minimum. Pets are allowed with an extra $150 fee, please call for details. Our units do not have sheets, pillow cases, or towels included in the rental, guests are requested to bring their own. However, we do offer linen rental service with 72 hrs notice before arrival: sheets, pillow cases, and towels at a onetime fee of $10 per person. 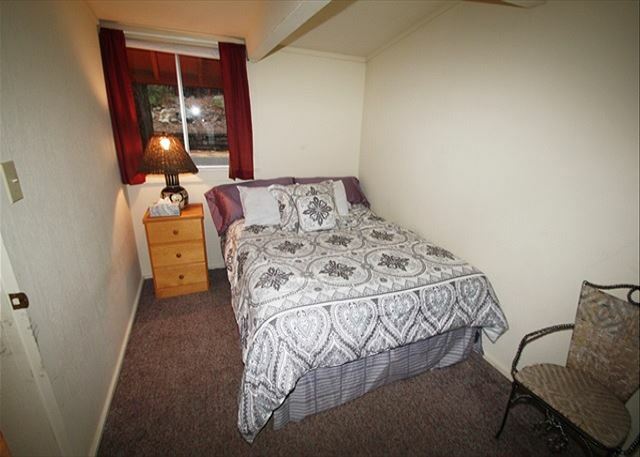 The Minor unit#071 offers a 10% discount off the rent to Active Military Members. Please call for additional details. Check in time is 3pm and check out time is 10am**Nightly Minimum Subject to Change for Holidays** 4 night minimum for Thanksgiving, 7 night minimum for Christmas/New Year's, 3 night minimum for Martin Luther Holiday Weekend, 3 night minimum for Presidents Holiday Weekend, 3 night minimum over the 4th of July, 3 night minimum for Labor Day holiday Weekend. Rooms Sleeps 6, Main level is bath, kitchen, bedroom and living area. 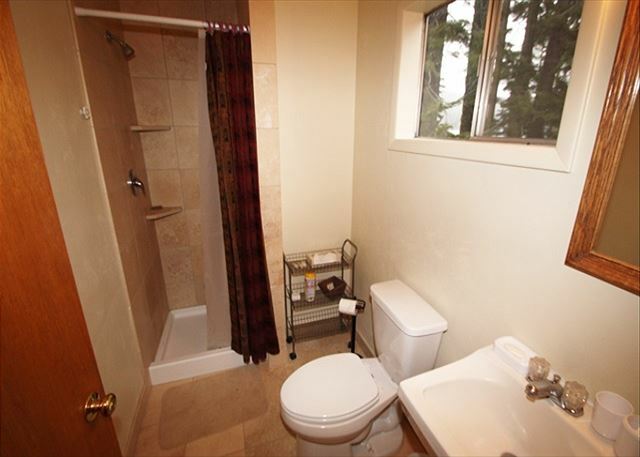 Upstairs is a bath and bedroom, and the lowest level has a bedroom.